On the plane! Britannia Pier, The Beach, Old School Hotel Phone, Imperial Hotel, Boules Green. Hey everyone! 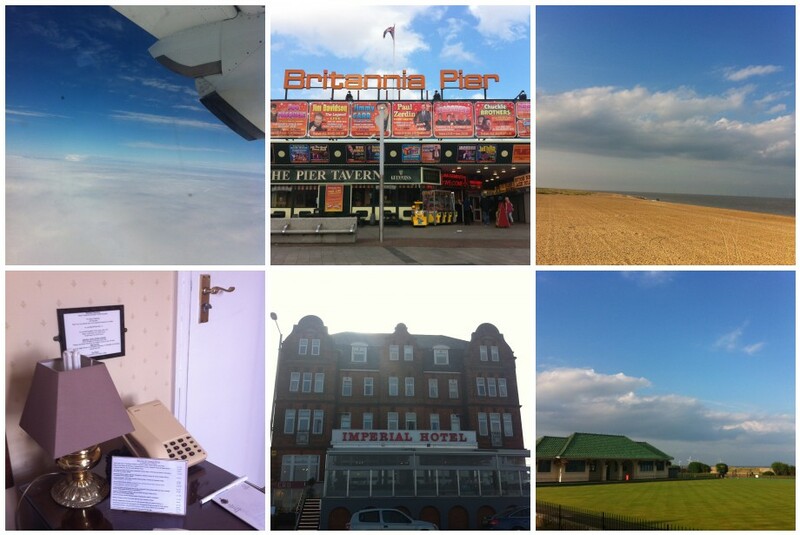 So this evening I am writing this from the seaside location of Great Yarmouth! I am here for two days for work so flew over this morning (who knew Great Yarmouth was SO difficult to get to?!) arrived at the office about 11am, did some work, checked in my hotel about 5ish and then decided to take myself on a little walk to pass the time. Seeing as I am all on my lonesome I figured rather than sit in not the most exciting of hotel rooms (sorry Imperial Hotel but it is true!!) I had spotted a pier and sea front not dissimilar to good old Blackpool so decided to take a walk down.. it was actually very sweet! The weather is lovely and it's actually feeling like a rather nice jaunt out of the office for two days and a lovely change of scenery. Ate dinner on my own in a little diner on the beach and then strolled back to the hotel where I am now Blogging to my heart's content with CSI on in the background! Whilst it is super relaxing being here.. I have to be honest and admit I am a little bored.. so please comment or tweet me! My Twitter name is @sweetiesal.. obvs! Have a nice evening everyone! i love great yarmouth i think its so cute!